“Rafael Pinillos´ solo project” is power-abstract music. It´s an attempt to put into a chaotic order a full array electronic noises, glitches and other micro-articulated parasite sounds generated by oscillators, synthesizers, filters, mixers, loopers and a complex set of electronic devices; as well as to unleash and control choppy, sloppy, piercing electric guitar lines that grows in the noises gaps and hide again into them. 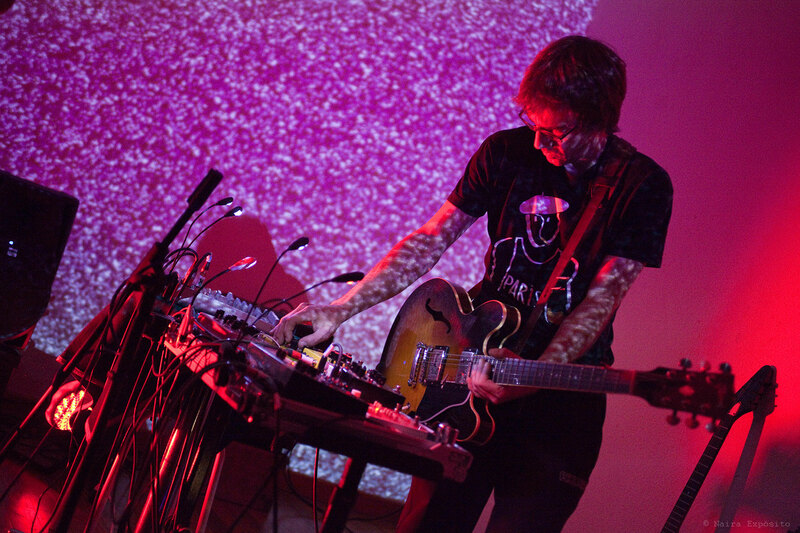 He also uses and abuses of amplified surfaces, homemade instruments and other objets to search new sound possibilities.